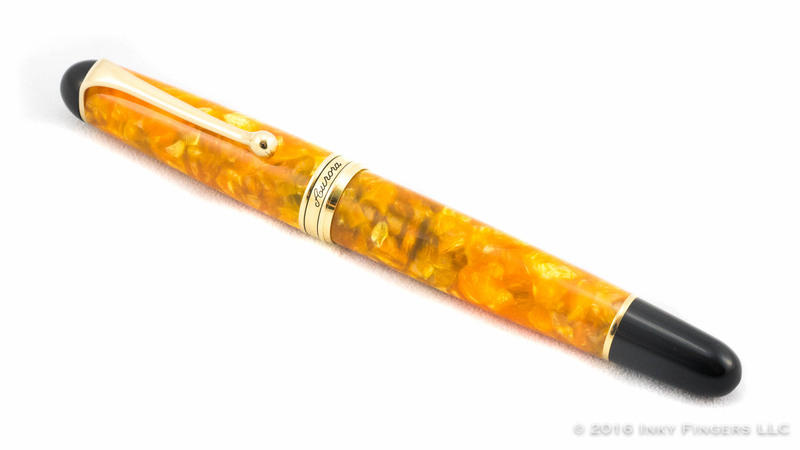 The longer I do reviews of fountain pens, the more often I am asked to provide advice about what pens to buy. I don’t mind doing it; in fact, depending on the situation, I love helping people–especially those new to the hobby–find the pen that really fits them. But as I often tell people, both in email and in my videos, “There’s no such thing as a perfect pen. And what is right for me may not be right for you.” Every pen has attributes in the plus and minus columns, and those attributes will be different for every person. As a reviewer and a user of fountain pens, I am fortunate that I get to use a lot of different kinds of pens. I feel like, over the last four years of fountain pen userhood, I have developed a pretty solid understanding of what it is I enjoy in a pen, and it helps to inform my purchases. On one hand, this is good as it helps me narrow down my options and increase the chances I will fall in love with whatever pen I buy. On the other, this can reduce my exposure to pens I just sort of assume I won’t like. Then one will come my way to review that I think I won’t like that much, and I am proven very, very wrong. Last season, there was a perfect example of this kind of pen. On first glance, the Aurora Optima in blue aurolide was not a pen I thought I would like: it was too short, had a nib that was too feedback-heavy, and was flat-topped—but I ended up loving it. The long section was tremendously comfortable, the balance in the hand when posted was a delight, and once I polished out the feedback, the nib was perfectly adjusted. I liked it so much, the pen joined my Top 5 list. When I posted my review of the Optima, several folks suggested that I might want to try its sibling, the Aurora 88. The 88, they argued, addressed most of my minor complaints about the Optima: It was longer and had rounded ends. It had the same nib, but that was easily polished. 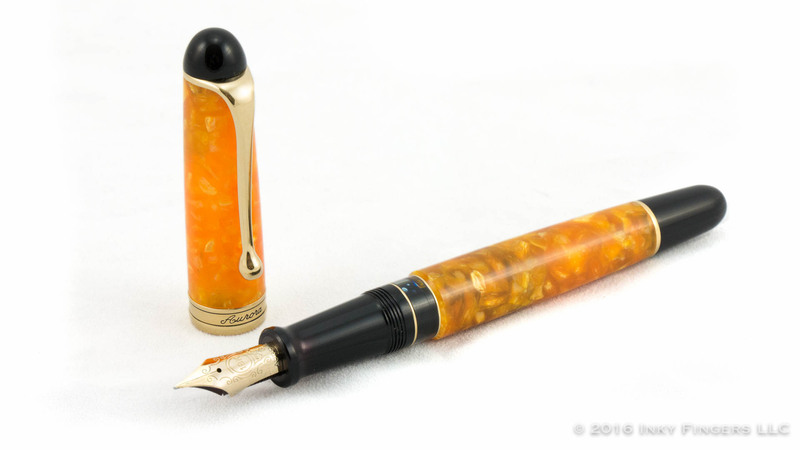 There was only one problem: The regular production line 88s, made of black resin, with silver and gold caps or accents, are, for someone who likes vibrant color and unique materials, underwhelming. Had the production line of 88s also come in the bright, vibrant auroloids of the Optima line, I likely would have bought one a long time ago. Instead, I decided that I wasn’t all that excited about buying yet another black and gold pen. It appears, however, that the pen gods have taken pity on one such as me. 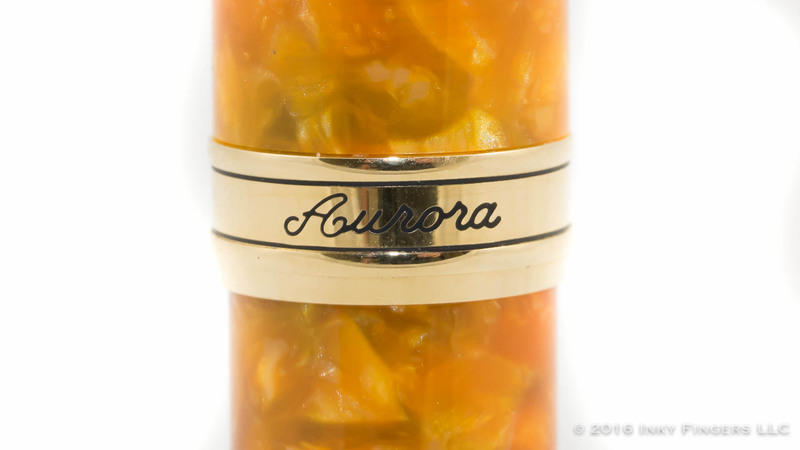 In celebration of the 70th anniversary of the release of the 88, Aurora has released a new Limited Edition 88—the Sole (pronounced soh-lay). 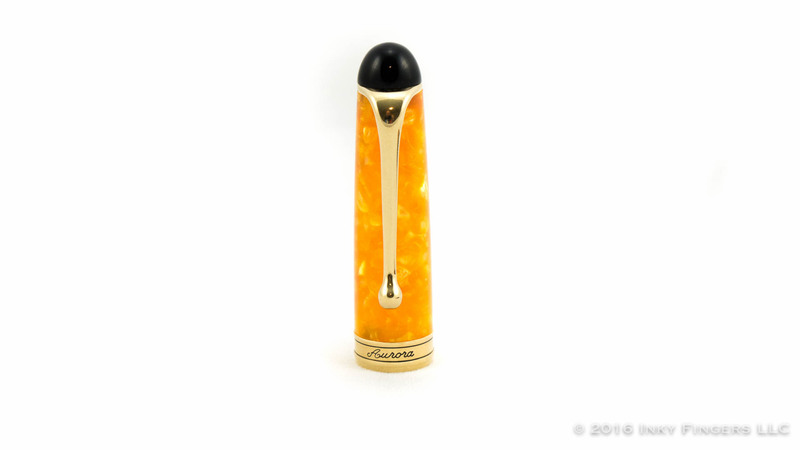 The Sole takes the traditional design of the 88 and give it a nice shot in the arm by making the cap and body out of a bright orange crush resin, highlighted by bright gold and lacquered black accents. The overall effect is pleasing, if somewhat familiar. 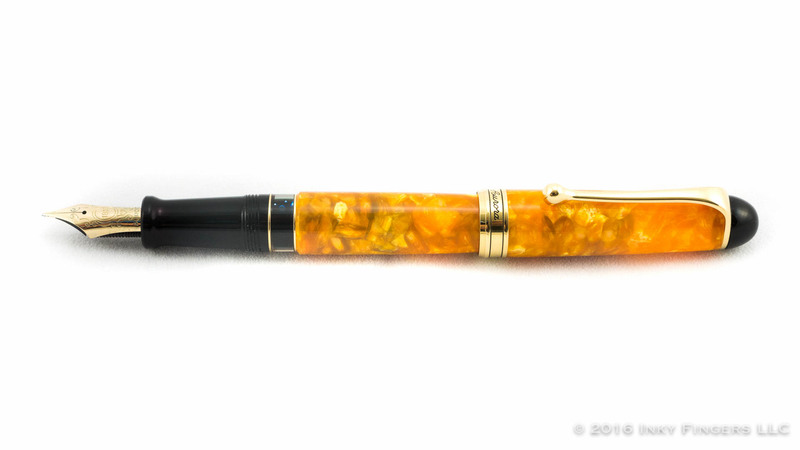 The orange resin is very similar to the material that Delta uses in their Dolcevita line, and when coupled with black, results in a pen that I, had I not known it was from Aurora, would have assumed was part of the Delta stable. 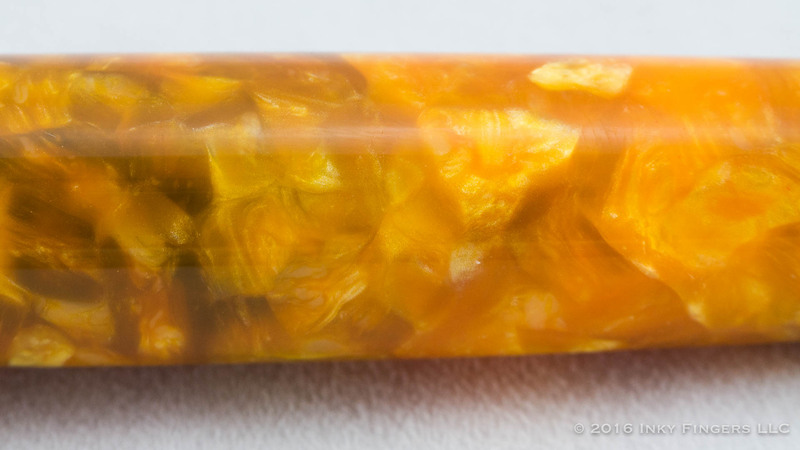 Side-by-side, Aurora’s material is a touch darker in color, but the main difference is that Aurora’s orange resin appears to have a bit more translucence than Delta’s. 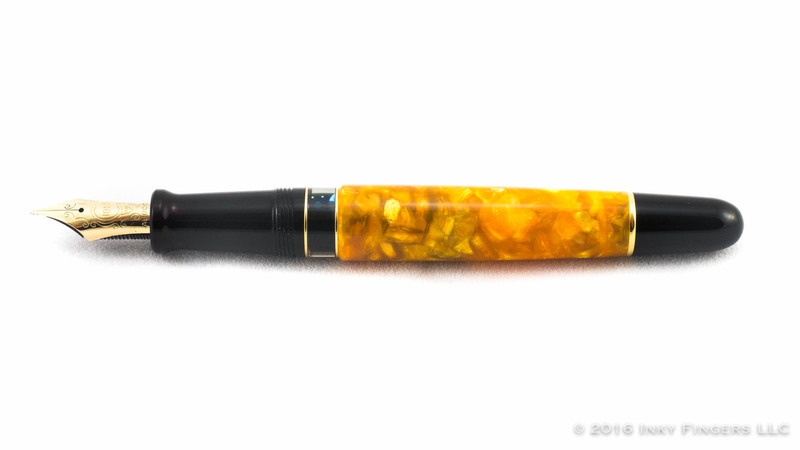 The pen’s design is in a classic cigar shape. 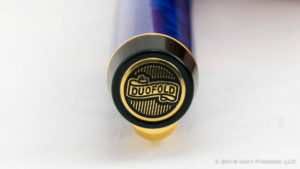 There is a black plastic finial which holds on a sturdy, gold-plated clip with a swooping profile and a folded ball end. 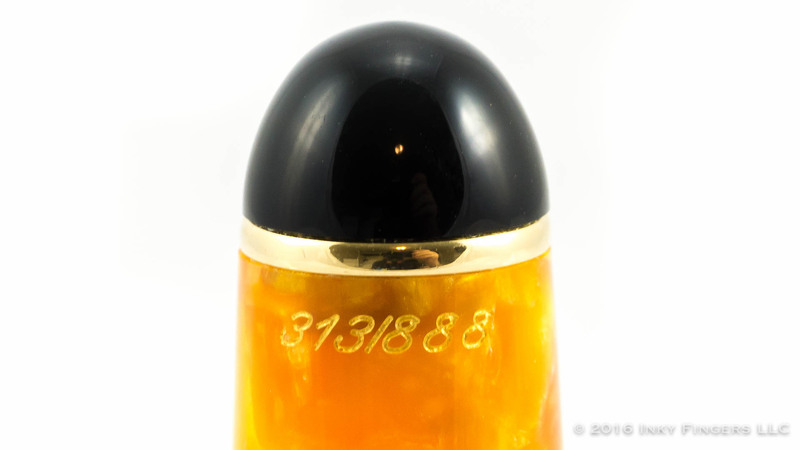 The body of the cap is made from the orange Sole resin and is engraved on the back just below the clip ring with the pen’s limited edition number out of 888 pieces. The cap terminates with a medium width, gold-plated cap band accented with two narrow, black-lacquered lines and the Aurora name in a black-lacquered script. 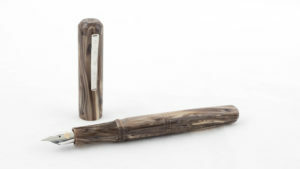 The pen’s barrel is also made of the Sole resin. Due to the translucency of the material, you can notice a shadow in the middle of the barrel when the pen is inked. It’s more noticeable when using a darker ink, as you might expect. 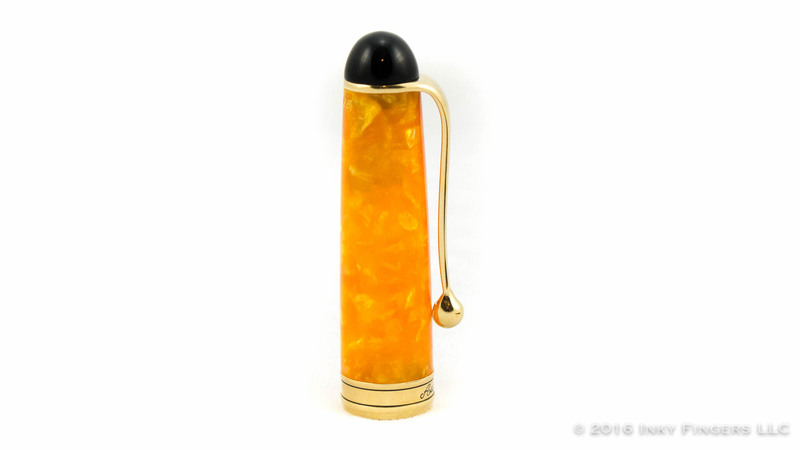 The barrel is terminated by a gold ring and a rounded black piston knob to mirror the cap. Under the cap, the pen looks to be identical to my beloved Optima. There is a clear ink window, some smooth threads, and lovely, long section which tapers toward the nib and ends in a gentle flare. 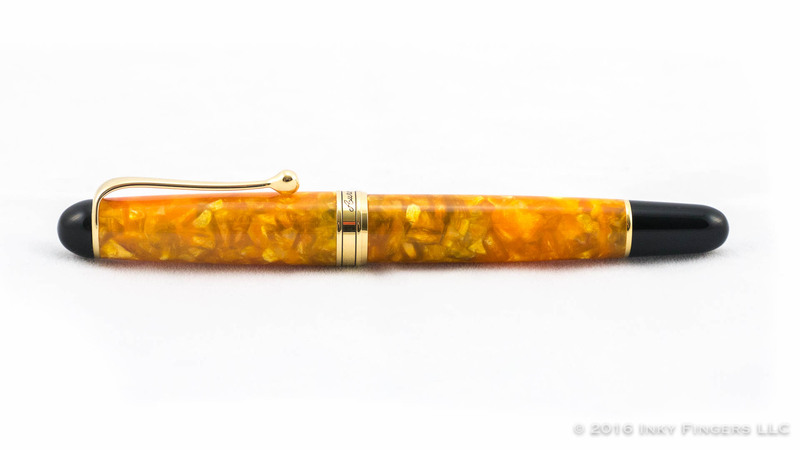 The pen comes with Aurora’s house-made 18k gold nib. 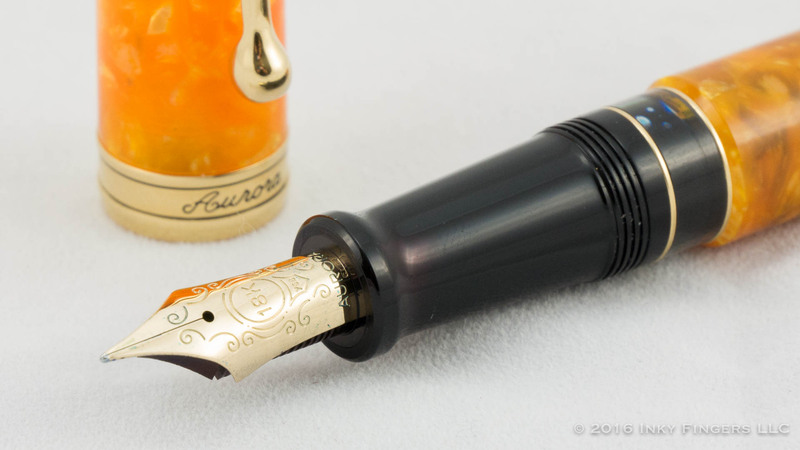 Aurora’s nibs have a familiar, yet still distinctive, profile, with prominent, pointed shoulders and a scrollwork-heavy design stamped on the nib’s face. Like the nib on the Optima, this Aurroa nib is quite rigid and rather feedback heavy, as is common for Aurora’s pens. I would place the 88’s nib at around a 7 on the feedback scale of 1-10. Feedback aside, the nib is wonderfully adjusted, with a perfect, moderate ink flow and tines 100% in alignment. 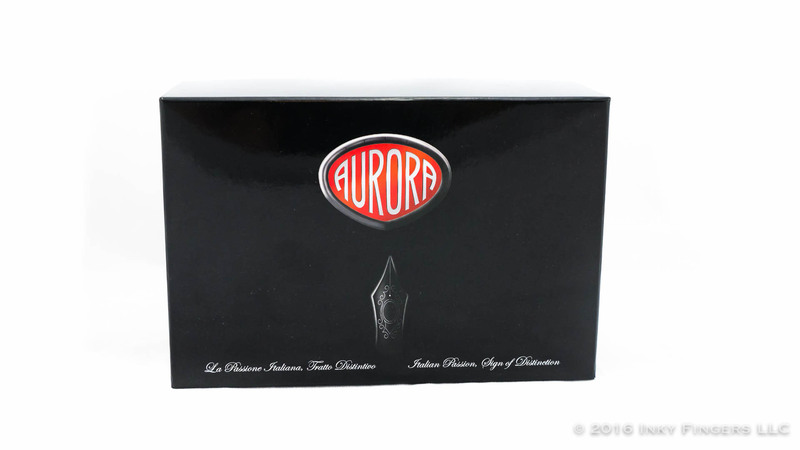 It is my experience that Aurora does quality control right: Every Aurora nib I have tried is wonderfully consistent. 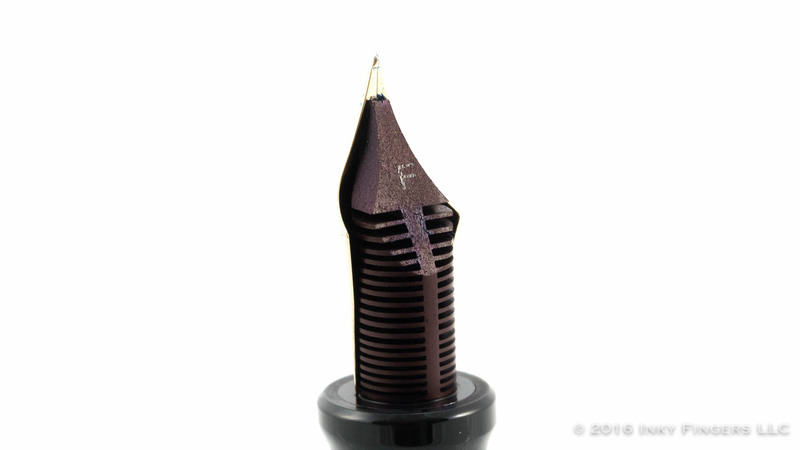 Under the nib is an ebonite feed into which have been cut a goodly number of fins.The nib gauge appears to be marked on the face of the feed rather than on the nib itself. 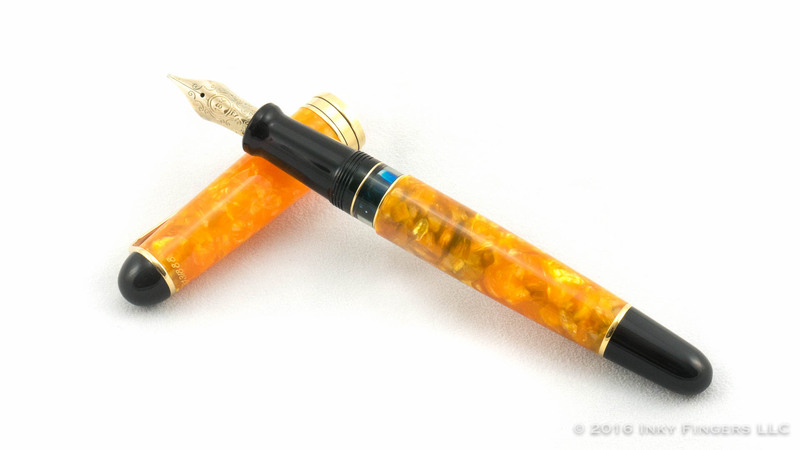 As would be indicated by the presence of an ink window, this is a piston-filled pen. The piston knob moved smoothly and freely, and the piston’s stopper (which appears to be made of silicone) doesn’t bind up on the inner walls of the barrel at all. Only Pelikan pistons compare in terms of smoothness and ease of turning. In the hand, the comfort of the 88 slightly outstrips the Optima for me. The long section and nib mean there are a variety of comfortable grips, and the increased length and rounded ends of the barrel make it possible for me to use this pen comfortably without posting. Despite that, I find myself posting the 88 regularly. 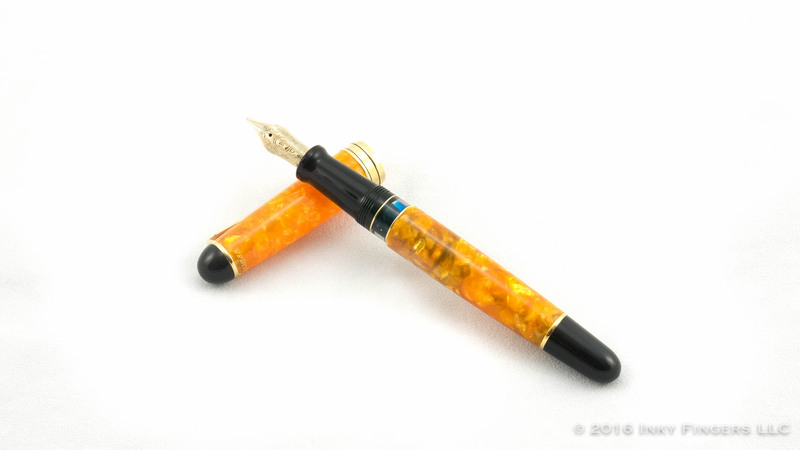 There is something really great about the pen’s balance when posted, especially with this lighter resin material. Nib performance is entirely in keeping with my high expectations as well. The very rigid nib and rougher tip polish won’t be right for all users, but performance is easily adjusted with a few passes over some MicroMesh™. (Were this my pen to keep, that adjustment would have already been completed.) The nib’s ink flow adjustment is dead on, and the wonderful ebonite feed seems entirely capable of keeping up with any ink flow requirements from the nib; my review pen didn’t exhibit any ink starvation or flow issues. 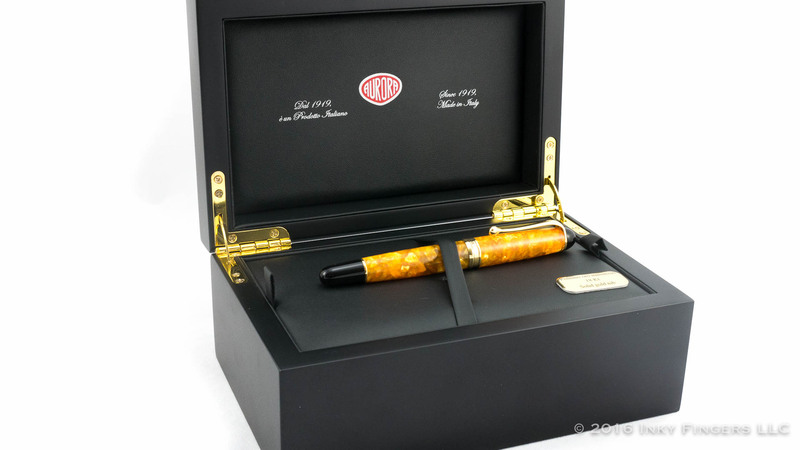 As the 88 Sole is a limited edition pen, it is perhaps unsurprising that it is quite expensive. 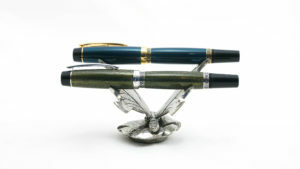 With a list price of $895, I am seeing this pen retail most places for around $725-$750. That is, of course, still quite a hefty price tag. As the 88 Sole solves every one of my minor issues with the Optima, which was one of my top pens of Season 3, it is also perhaps unsurprising that I consider the 88 Sole to be well worth the price tag. 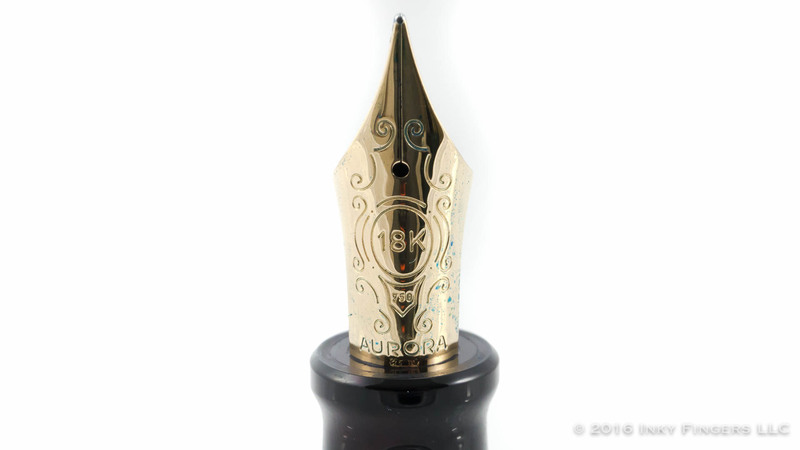 I’m not purchasing a lot of pens of my own these days, but the Aurora 88 Sole is one that is hovering on my to-buy list. It’s a really wonderful pen. 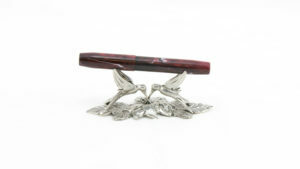 The pen for this review was loaned to The Pen Habit by Kenro, and was returned following the recording of this review. No additional compensation was provided. All opinions expressed are solely those of the viewer.